Office is an important thing for every kind of business. You can’t do any business or you can’t open any company without any office address. The owners need to clean their office, so they search for office cleaning service company, but many owners don’t get any idea about the office cleaning prices. Mainly the cost depends on the size of the office, how dirt the office is, service quality etc. Sometimes many branded office cleaning service company charges more than the normal office cleaning service company. Today I will give some idea about the office cleaning prices. We can easily tell that office cleaning cost mostly depends on the size of the office. In general, large office to be cleaned cost more because a lot of cleaning products and equipment need to clean the large space. 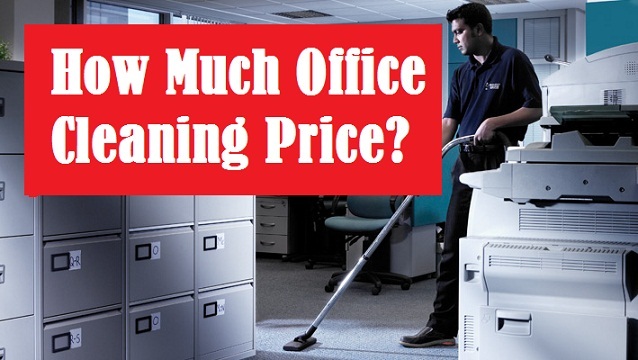 Let’s get an idea about the office cleaning prices. Normally $25 to $40 is charge for a small office (less than 1200 to 2000 square feet). This service package will include empty the trash, dusting and light vacuuming. This office cleaning prices will increase if the requirements are changed. The price will increase to $40 and $65 per visit if the package include one or two small bathrooms’ restocking paper products, sweeping floor and washing toilets. For large offices (2100 square feet and larger) the charge will be given for per square foot. At lowest the charge begin from $0.50 per square foot. You will get these kind of services like sweeping or scrubbing floors, cleaning kitchens, vacuuming etc. The office cleaning prices also depend on the timing. If you call a professional office cleaning service company to get cleaning service in your staff working time, the cost will increase. In office duty time, the office will fall of staffs and the cleaners will feel disturbed. On the other side, if you want the cleaning service in another time, the office cleaning prices may be low. How dirty your office is? An office cleaning service company will look at this first to tell you their charges. If your office is low or medium messed up, the cost shouldn’t go to high. In the other hand, if the office is highly messed, then the cost will definitely go to high. The reason is that to clean a very dirty office cleaners have to use a lot of cleaning products and equipment. To clean a low dirty office a lot of cleaning products and equipment is not required. That’s why the service cost can get higher or lower. Am I getting quality office cleaning service? This is a common question to all. You will see many Office Cleaning Service Company is very expensive; but their service is bad. They use low quality cleaning products which will not your office nicely. You may not like that. Expensive companies are not always the best companies. So you should first check the feedback or reviews of the company and then take cleaning service for your office. Do you need office cleaning service regularly? It can affect office cleaning prices. If you hire a professional office cleaning company and you take their service regularly, you may get some discount or they may take some low price from you; because you are their regular customer. The office cleaning prices are more for urgent cleaning. Sometimes some office cleaning company gives offer or discount. If you take the cleaning service, then, your office cleaning cost can be lower. In conclusion, the price is not the identification of an office cleaning company. You should take care the following things before hiring an Office Cleaning Service Company. Is it a professional office cleaning company? Is the company has a good reputation and feedback on the market? Do they include any VAT in their price list? Some company doesn’t include VAT in their price list, but they charge VAT. Are the cleaners responsive and expert? Does the company give any trial period? We should see their work first before taking their final service.